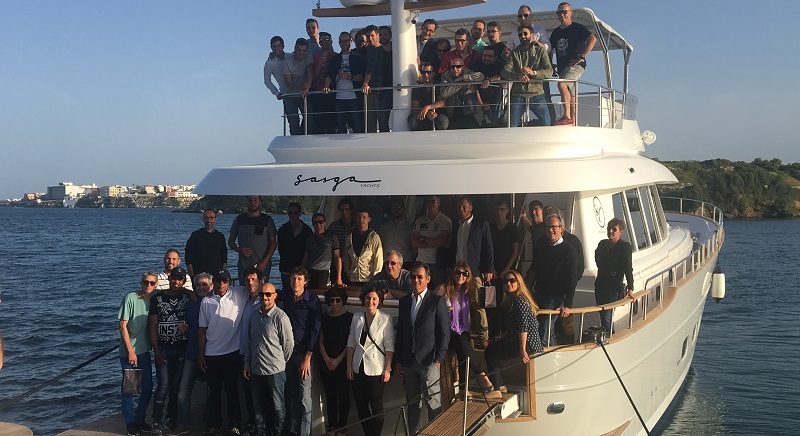 SYS Broker and Minorca Yachts specialist Rob Welling, shares his experience visiting Sasga's the state of the art production facility in Menorca, Spain to learn more about the superior design and craftsmanship behind Minorca Yachts. 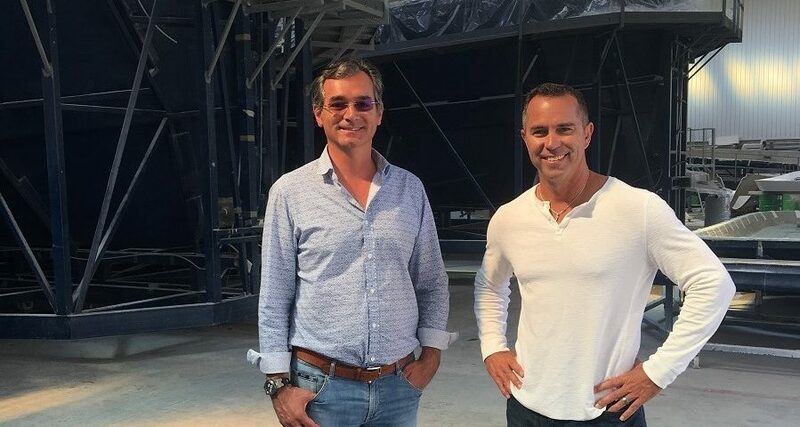 Pictured above: José Luís Sastre Gardés of Sasga Yachts (left) with Rob Welling. "There are certain places in the world you just feel at home. Menorca, Spain - the production facility for our Minorca Yachts line - turns out to be one of those places. Despite my high school level Spanish, my recent visit to the Sasga factory was made easy as many folks there also spoke English. Earlier in my tour, we practiced with each other, which made for some good laughs. But all fun aside, it was the purpose of this trip – to spend time at the Sasga Shipyard – that really made it all worthwhile. To have the chance to dig into these boats at all levels of the build process is something anyone considering a Minorca Yacht should experience. From the state of the art shipyard showcasing the design and layup techniques (all the hulls are resin-infused with Divinicyl Closed Cell Foam Coring, with additional incorporated strengthening layers), to the incredible skills of the engineers, mechanics and carpenters (some of whom have been with the company for more than 30 years) the soul of each boat working its way through the line is carefully molded and revealed in the final product. And like a fingerprint – due to the ability to customize these boats in numerous ways - no two are exactly alike. There are many things that stand out about the production process. The most noticeable being, much like the boats themselves, the blend of new technology with old-world tradition. Seeing the layup building with the incredible two-piece molds and resin-infusion process underway, then walking over to see carpenters custom building cabinets, or hand-sanding wire runs in the bilge that no one will ever see, shows a true commitment to quality in every step of the process and of course in the final product. One of the benefits of such hands-on construction is that a Minorca yacht can be customized in numerous ways. From standard interior layout options to the smallest detail, such as a hinged cockpit table, added bookshelves, or small customs storage spaces or seating arrangements. A highlight of the trip was the launch of the new 68′ flagship. Like the rest of the line, a head turner anywhere she goes, she’s impressive in every possible way. It was a true pleasure to see all the hard work culminate in so many proud smiles as we all took in the new boat alongside a small waterfront house that used to belong to Sir Richard Branson and his family. There are endless differences that set Minorca yachts apart from other brands that may fall in a similar category. The overall design being the most obvious. There are a number of boats in the US market that reflect a traditional Downeast design, but Sasga is essentially the first to use a traditional Mediterranean fishing boat as its inspiration. And the quality of the design isn't only skin-deep. The hull design itself provides a stable, smooth, safe ride that when compared, sets it apart from many production boats out there as well. The reality is that it’s the people of this company, whose dedication to quality is paramount, that make Minorca Yachts what they are – capable, seaworthy, solid cruising boats that not only lend a nod to tradition, but embrace the latest technology while doing so. 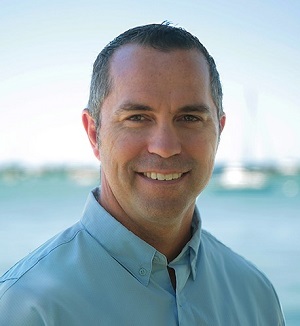 They’re a proud group at Sasga Yachts, as well they should be and I’m proud to be considered among the family of those representing such a fine product here in the United States." Contact Rob to learn more about the Minorca design, current in stock models, and quick build times.